So excited to have from friend Sally guest blogging today. 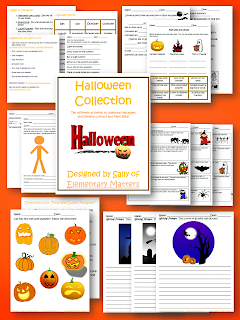 You will love all her free activities for October. 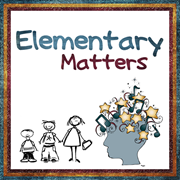 She blogs over at Elementary Matters. I hope you will visit and check out her wonderful blog. Hi! I'm Sally from Elementary Matters! I've been teaching in New Hampshire for 35 years, and, honestly, I love it as much as I did back in the 70s when I started my career. 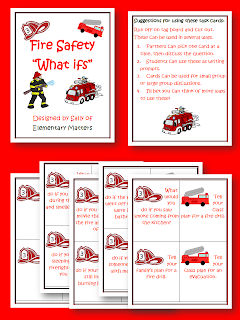 I've taught from preschool through eighth grade, and like to make learning fun for the kiddos! I've done a lot of research on how the brain learns, and FUN is a key element on learning! 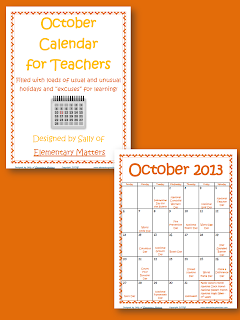 Speaking of fun, I have a few things here to help you and your kiddos celebrate one of my favorite months: October! It just so happens I have lots of freebies for you! And of course, it's football season! 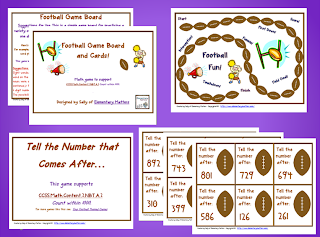 Be sure to click the purple image for a football themed game that supports the Common Core! 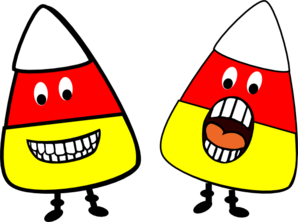 Have you noticed Halloween is one of the biggest holidays of the year? 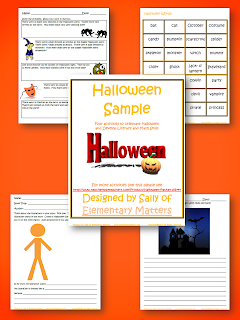 Here's a freebie to keep your students interested in classwork during the Halloween Days! 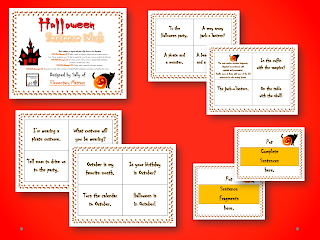 If you like these activities, click the link for the whole Halloween Collection! 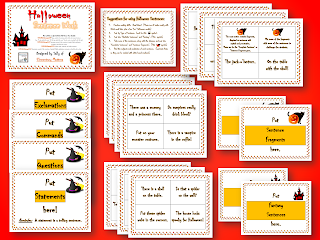 Here's another Halloween freebie to practice complete and incomplete sentences. just click the image! 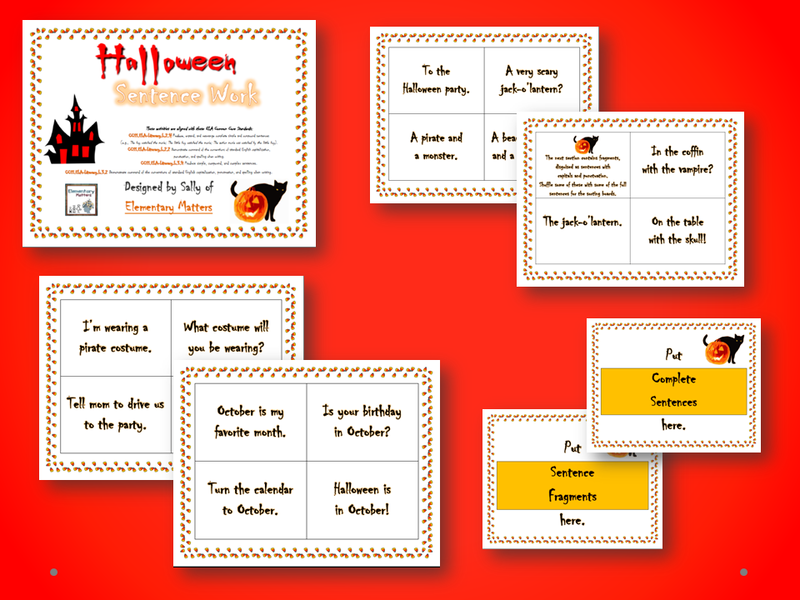 If you want more sentence activities with a Halloween theme, click the image for the whole set, which includes activities sorting by sentence type, real or fantasy, fragment or complete sentence, and subjects and predicates. Thanks for all the freebies. I couldn't get the one on complete/incomplete sentences to come up.